I’m sensing a number of things coming together, creating a new view of what’s possible and what’s changing in healthcare. I want to take a moment to present some background, then share the mind-pop that hit me yesterday while writing something. It clarified my shifting view of the role of the patient in medical research – no small subject! As regular readers know, patient engagement got a big boost in April 2011, when I was invited to speak at TEDx Maastricht in Holland. My talk there continues to be in the top half of most viewed TED Talks of all time – an enormous boost to any cause. Well, it’s no accident that it happened there. Organized by my now-friend @LucienEngelen, it was the first in a series of conferences he now calls “the Future of Health,” and for him it’s all about the patients – so much so that it was the first conference I know of where the first speaker announced (a year in advance) was a patient. That’s an unconventional way to announce a new conference in medicine – and that was two years ago. He’s so patient-centered that a year later he announced he’d no longer attend or even accept speaking invitations to conferences that don’t actively support patient participation. He announced the Patients Included badge you see above. In his TEDxMaastricht talk this year he mentioned his parents’ deaths from cancer and his thoughts about his own odds. Describing the badge, he cites leaders like Gunther Eysenbach, Denise Silber and Larry Chu whose events do include patients. His university’s med school mission is “The patient as partner.” This touches, massively, on the TEDMED 2013 Great Challenge, Role of the Patient. 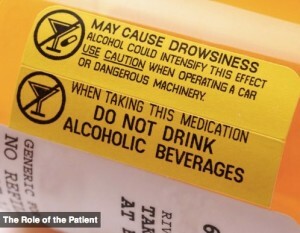 TEDMED has tended to think of it in terms of whether patients follow orders: the signature graphic for this challenge (right) is a blow-up of warning labels on a pill bottle! Really, TEDMED?? This signifies the role of the patient? The healthcare waste pit is bigger than the fiscal cliff. If Intel, Microsoft, Apple, GM, IBM, Ford, Chrysler and Dell all went out of business, it still wouldn’t add up to that much. I found another way to comprehend it. Hold onto your hat: $750 billion is bigger than the whole Fiscal Cliff we’re so scared about. Yes, way bigger than that cliff in the news – the fiscal cliff that’s so big Grover Norquist caved in on his tax pledge, so big it embarrassed Speaker Boehner when he STILL couldn’t rally his troops – that cliff is “only” $560 billion, according to Wikipedia as of today. $560 billion + 30% (another $168 billion) = $728 billion. Our august leaders Norquist, Boehner and Obama speak of the Fiscal Cliff in desperate terms – but I don’t hear anyone speaking with the same urgency about the healthcare waste pit. But it’s going to hit us all, so you and I – all of us who have a stake in the future of healthcare – ought to be thinking what we’ll do in the coming years as this industry rationalizes to a saner spending level. The changes will be substantial. As I said in the earlier post, we must detect and protect the good work of the best providers. And above all as fights unfold over the shrinking ocean of money, we must ensure that families who need care are indeed taken care of. Update 12/16: comments below this post have added more detail and documentation. On one level this is a happy post. On another level, it’s a storm warning. Of all the amazing, inspiring, humbling things that have happened in this three year adventure, one of the best is being invited to participate in discussions with professional societies I respect. For instance, twice this year I’ve written for the SGIM Forum, published by the Society of General Internal Medicine. Real medical leaders are actively listening for the patient’s perspective on many aspects of the challenges facing health and care, especially in America. 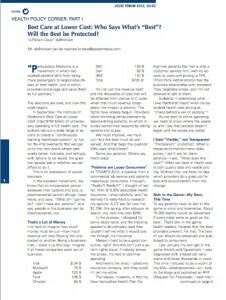 For the current issue (December 2012 – click image at left) I was invited to write a post-election perspective for their Health Policy Corner on the outlook as reform rolls out. The angle I chose was to ask, as the new rules unfold and the business of medicine changes, will the best providers be protected? It was a riff on the Institute of Medicine’s new report, Best Care at Lower Cost: The Path to Continuously Learning Health Care in America. The most-quoted item in that report is that we have $750 billion of excess spending in American healthcare. $750 billion is an incomprehensible number; it’s impossible to imagine how much financial pain there will be as we work to fix it. So I put it this way: if Intel, Microsoft, Apple, GM, IBM, Ford, Chrysler and Dell all went out of business, it still wouldn’t add up to that much. 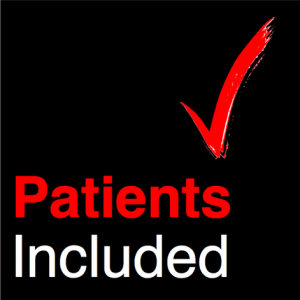 This post became a chapter in my 2013 book Let Patients Help: A Patient Engagement Handbook. Why? Because I’m increasingly seeing that it’s incomplete to look at transforming medicine by just talking about the care part – the part that kicks in when something goes wrong. All of us – patients and providers and insurance and government and industry and everyone – need to be thinking about health, every time we approach a problem with the health care system. I know I’m not the first to say this, but as a marketing slogans guy (“Let Patients Help,” “gimme my damn data” etc), I’m keenly aware of the power of handy language. Everything I explained above can be said over and over, but it doesn’t fit easily into everyday discourse. “Health and care” is an easy plug-in replacement for the usual “health care.” And that boosts the odds people will use the new wording. And language defines our thinking. The implications for patient engagement are clear: it’s not sufficient to get engaged (to get it in gear, to get activated) only when sickness hits. My view from now on is, if you wanna be an e-patient, it starts with holding up your end of the bargain before you get sick. One more thing: I like the word “care” – it’s patient-centered. In my life getting doctored and nursed, I’ve had the experience of being cared for, and I’ve had the experience of just being treated, without care. When I’m in trouble, what I want – what we should all shop and ask for – is great treatment delivered in a caring way.